We have some very talented girls in our netball squad this year. The plan is to get them training more together so they learn to play as a team. 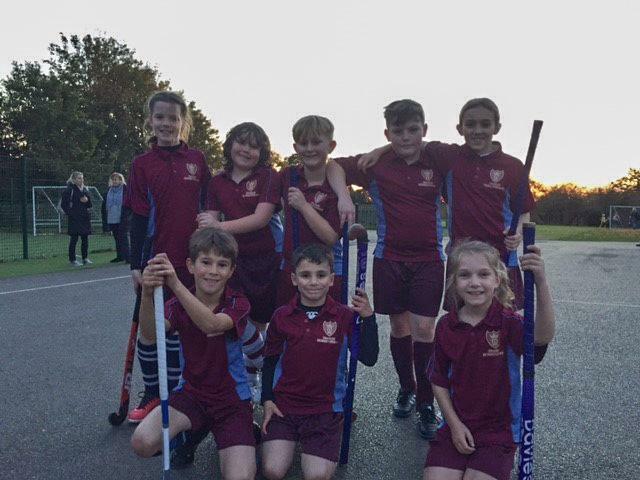 So far, the Year 6 team have played friendlies and league matches against St Peter’s, Ursuline and Long Ridings. The girls love playing and will get better the more they play together. Well done girls – keep trying and keep smiling! Well done to our Year 6 netball team who got their first league win of the season. After a shaky start to the netball season, the girls have started to play together as a team. Their passing against Long Ridings was fantastic. It was 0-0 after the first quarter. Once Philippa got her shooting boots on, there was no stopping her. Mia controlled the game from the centre with an energetic performance and with Isabella Price and Inès on the wings, St Mary’s were soon in front. Long Ridings couldn’t beat our brilliant defence of Emily, Ella and Isabella King. Goals from Philippa, Kayla and Ella saw St Mary’s the winners 3-11. Well done girls. Let’s keep up the good work. Wow – who knew we had so many talented girls at St Mary’s! The squad this year is bursting with skill and enthusiasm – so many girls to choose from! We are playing in a Year 6 league with only 3 girls from our current Year 6 in the squad. So, we expected it to be tough against some other stronger, bigger Year 6 girls. However, it’s not all about being the biggest! Our girls have skill and determination on that football pitch. They love playing for St Mary’s and it shows at every match whatever the result. 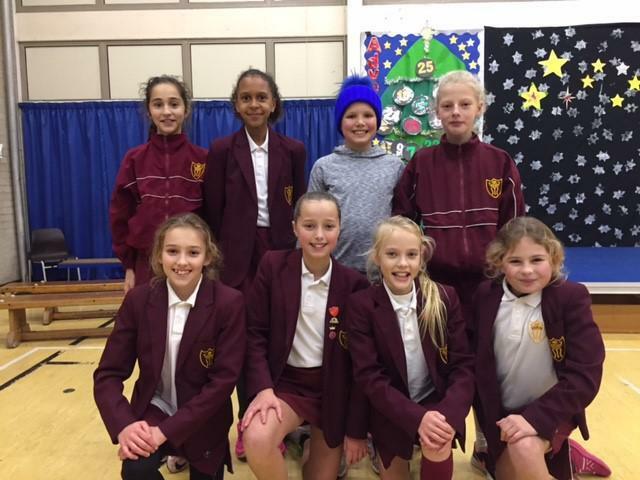 So far, the girls have played Ingrave Johnstone – a very tough match against a very physical Year 6 side. We lost 6-2 but the girls came off smiling still. Our next opponents were St Peter’s. This time the girl’s skill showed through, and we won the match easily with goals from Sophie Willson, Ella Robins (2), Marcia Edwards, and Mia Robins. 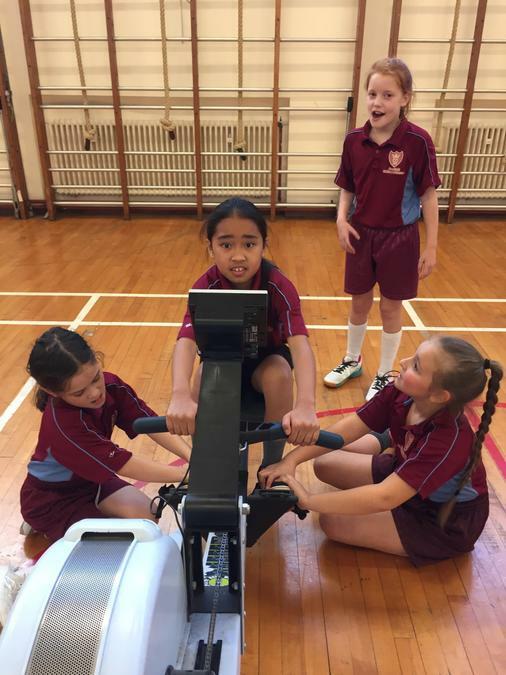 Well done girls – great result! We then had to play Ingatestone Primary away. Obviously, this is always like a huge derby in the Taggart household! Mrs Taggart needn’t have worried about it – we were awesome! The girls had the bit between their teeth from the off, and Ingatestone struggled to get the ball out of their own half. Then result was an resounding 10-0 win for St Mary’s. Our most recent game was on Thursday 1st December. The venue changed to Long Ridings due to our frozen pitch. Again the girls pushed from the start and were rewarded early on with a goal. St Mary’s seemed to be camped in the Long Ridings half for most of the first half and ended it 2 goals to the good. Second half saw Long Ridings pushing up a little more, but they couldn’t beat our super keeper Clara! A great 4-0 win away – excellent play girls! We have also been playing in a few tournaments during the term. Our first was at Shenfield High School on the 11th October. We took 3 teams of Year 4, 5 and 6 girls. They all played at least 4 or 5 games in the tournament and did brilliantly, having a lot of fun with one team getting to the semi final. We have been taking part in a girls tournament at Willowbrook School too. We played back on the 30th September with Marcia, Mia, Sophie, Mille Latham, Ella, Maisie Sewell, Constance and Emily. It’s a lovely little tournament for KS2 girls, so we have a mixture of year groups taking part. Well done to this team who won the tournament overall. So far this season has seen some very mixed results. We have many talented boys in our school. Our first tournament of the year took us to Shenfield School. We had 4 teams playing from year 5 and 6. The boys played with great enthusiasm and lots of skill on show. Two of our teams got through to the semi finals. It was very tense! Our year 5 boys were unlucky to lose to a strong Bentley side 1-0. 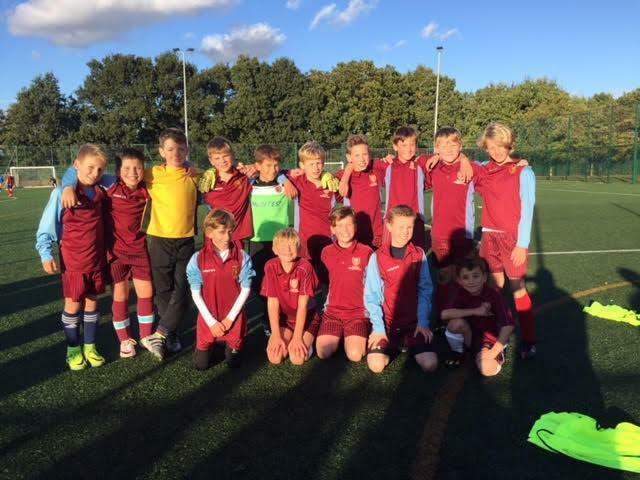 Our year 6 team lost on penalties to St Peters – a very unlucky way to go out. But, well done to everyone. Our next tournament, again at Shenfield School, saw us take 4 boys teams and 2 girls teams. Another impressive display from all our teams. Unfortunately one of our teams just missed out on the finals on goal difference. Unlucky boys but we will get there soon! The final tournament was for our Year 3s. We took a massive 6 teams of boys and girls! Our girls did so well against the other schools and had a fantastic time. They only just missed out on a place in the semis. 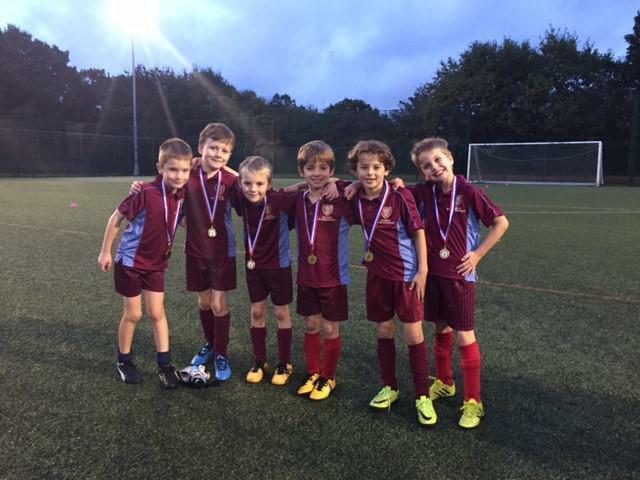 One of our boys teams, however, played and won every game in the whole tournament – well done to Thomas Wiles, Harry Leonard, Callum Stark, Spencer Guest and Josh Eida. Year 3 Champions!! The year 5 boys had their first friendly against Ingatestone. A very disciplined performance and well deserved win (to the delight of Mrs Taggart!!) – 3-0. Well done boys. We have had some mixed results so far this term for the Year 6 boys league. Our first game was a very exciting encounter against Brentwood Prep. St Mary’s came out winners. Our next match was against St Thomas’s. The boys played very well, but we could not find the back of the net. So many chances were created. 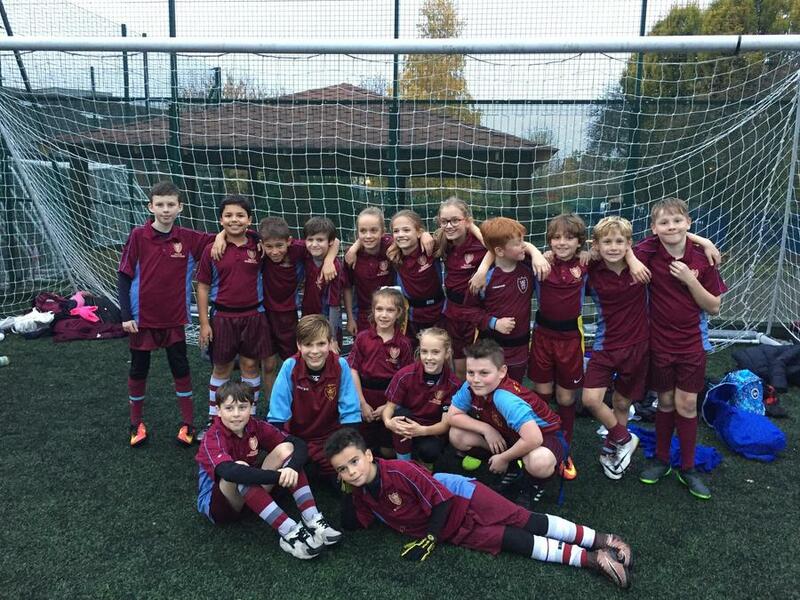 St Thomas’s took their chance and scored a goal – we lost 1-0. St Helens were our next opponents on the Courages. The boys started off well, and they do create a lot of chances to score. This was an end to end game with a very strong St Helen’s side coming out on top. Holly Trees were the next visitors to St Mary’s. Thank you for the parents who helped with this match in my absence. Apparently a great game, St Mary’s very unlucky not to win. 2-2 was the final score. Well done boys! Our last game this term saw us visiting Long Ridings. We certainly had the better of the first half, but once again, just couldn’t finish. Long Ridings came out faster and stronger in the 2nd half and we ended up the losing side, 3-0. Keep your heads up boys. We will keep practising and will win our last games of the season! 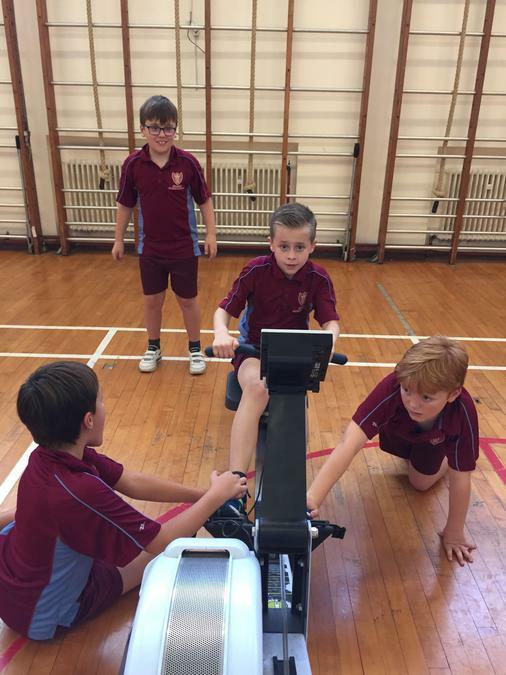 Indoor Rowing – a very excited bunch of pupils went to Shenfield School sports hall for this annual event. 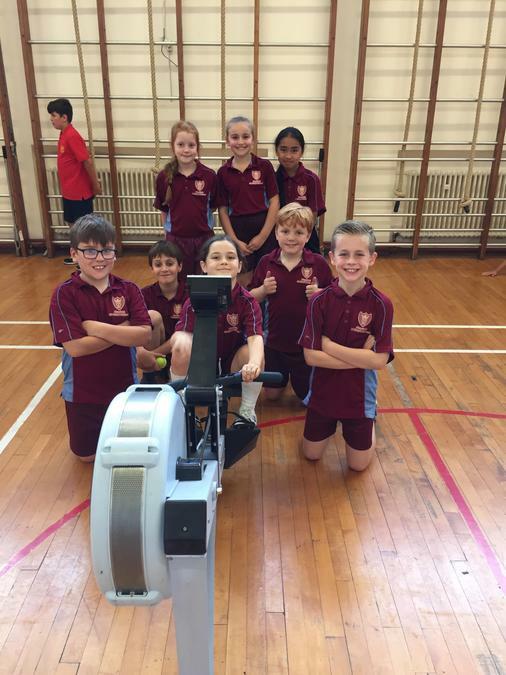 The boys and girls tried their hardest and rowed their hearts out! They worked extremely well as a team, encouraging each other and being very good sports. Well done to Finlay Mayes, Patricia Pojala, Dylanne Meek, William Charters, Juliana Cruz, Katie Wiggins, Henry Owens and Luke Bryant. We were invited over to St Peter’s for some quicksticks matches. The children had a great time and were very good. Thank you to St Peter’s for hosting. 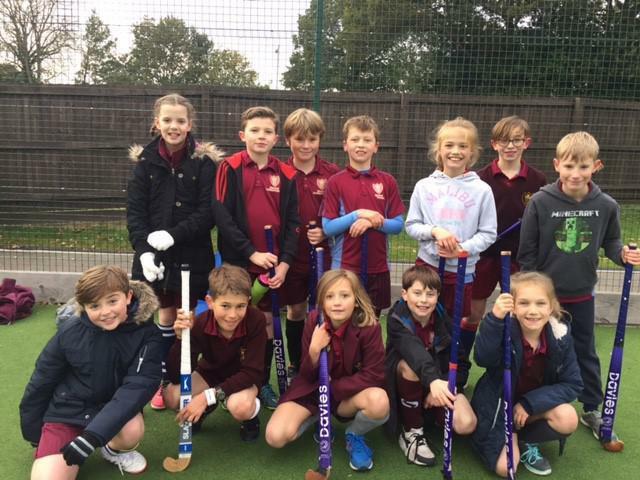 We then attended a Quicksticks tournament at Brentwood Prep. We took 2 teams of mixed pupils from Year 5. We ere very proud of the way the children performed and how sporting they all were. One of the teams did fantastically well and got through to the semi final. They just missed out on a place in the final losing to a very talented St Thomas’s side. Well done to all those who played. This time we took 2 teams of mixed Year 5 and 6 pupils to Shenfield School for the Tag Rugby competition. This was very exciting and the children played some great tag. Well done to all those who took part. Another day, another sport!! This time we took 2 teams for the dodgeball competition at Shenfield School. There were a lot of tactics and great teamwork from our children! Again, very unlucky not to get through to the semis, but well played to all. Our first basketball competition of the term took us to Shenfield High School. I wasn’t able to attend myself, but Mr McAdams and some parent helpers were on hand to manage the teams! We didn’t get through on this occasion but the teams had a great time and played very well in their new basketball kit. Thank you to our new sponsor – Parry and Cohen - for this fantastic kit. We hope it brings us luck in the league next year.